This paper examines the normative character of monastic exemption in the Latin West, that is to say, the negotiated interaction between monasteries and bishops. 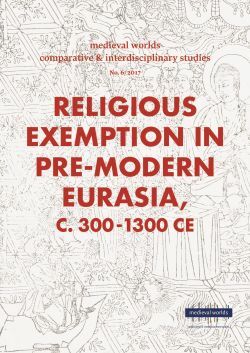 In tracing the formation and development of exemption privileges between the fifth and ninth centuries, it argues for an emerging pattern under the Franks that proved central to developing notions of spiritual and physical protection. As a consequence of this novel mentality, a monastery’s relationship with its surrounding environment became characterised by greater degrees of freedom and protection than ever before. This unique transformation took time to develop, however, forging alliances that effectively shifted individual monasteries away from their Frankish protectorate towards the spiritual centre in Rome. The consequences of this landmark shift, it is argued, benefited the early medieval papacy in its burgeoning claims of centralized power and legitimacy.